Let's face it, finding the right gift at the right time can be a challenge. Whether for a wedding, birthday, anniversary, memorial or baby birth, the gift you give communicates so much to the recipient. And sometimes that is the biggest challenge; how to find a gift that is personal and meaningful in our world of big box stores and mass produced merchandise. And if you are getting married, it can be difficult to know what gift to ask for from your closest friends and family. At Bloombeads | freezeframe, we have spent over 25 years specializing in creating that perfect gift for families in southwest Ohio and beyond, by preserving symbolic flowers and turning them into lasting art and jewelry. Chloe Jackson recommends Bloombeads by freezeframe. I HIGHLY recommend getting your bouquet freeze dried after your wedding! A mom that I used to nanny for had hers done, which got me thinking back when I was wedding planning that it was something I had to do. If you are local, I went to Bloombeads by freezeframe in Dayton and they absolutely blew me away from the moment I walked in their store. You can choose between having your entire bouquet frozen, a part of your bouquet, or just have the flowers arranged in a more artistic way. The flowers stay in the freezer for several months, and then they recolor the flowers to match what your bouquet looked like. (Price point will range depending on what style and size you choose). I also got a birthday present for Michael by getting cuff links that were made using flowers from my bouquet. SO cool!This is honestly one of the best gifts I have ever been given and that I will cherish (and maybe my grandchildren's children will cherish) for the rest of my life. Let me start by saying I personally had an amazing experience! From the moment my husband and I walked in to the the last time I walked out with my bouquet, everything was wonderful. We originally met with Julie, who was super friendly and took the extra time to break down the different designs, endless options, and individual costs. She pulled frames and boxes to show color options and gave us tips on how to pull it all together. We probably wasted a good 45 minutes to an hour of her time with our endless questions and changes, and she never once tried to rush us out the door. We were offered a payment plan to help with our budget too! I e-mailed pictures of the bouquet for reference to help and always received quick and professional responses. My favorite part was we were initially quoted anywhere up to a year to receive the bouquet back; however, I was conveniently able to pick it up on our six month anniversary. I went to pick up my bouquet and it was even more perfect than I had imagined. It is truly beautiful and will be cherished for a lifetime. I definitely recommend freezeframe to anyone looking to preserve flowers from a special occasion. Picture of my preserved bouquet in the comments. I could not have been more satisfied and happy with Bloombeads. It is such an amazing company and what they do for families is just awesome. We will now have flowers from Tim's funeral kept with us forever. I highly recommend them to anyone who needs their flowers preserved. If you want to preserve a memory to last forever, whether it is a wedding, funeral or birthday. This is the place to go. They do amazing work. Both my daughter and daughter in law had their bouquets done and I just had some done when I lost my husband. Absolutely love this place!!! Took some roses from my Moms memorial service to be preserved. The final product was absolutely beautiful. I will be going back to have piece of jewelry made from flowers that are left. I would highly recommend Bloombeads.Professional and beautiful work. Why should you trust us to create such a one-of-a-kind gift? Freeze-drying mastery – Our preservation team has studied under all of the past and current freeze-dry manufacturers and has perfected the process for drying even the most difficult blooms, like succulents and orchids. Air-brush Artistry – We air-brush each and every bloom. Why? 1. For longevity of color over the years and 2. 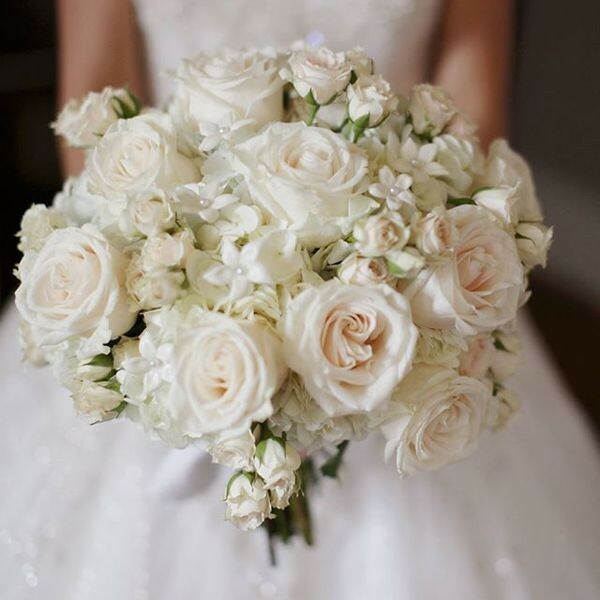 Because regardless of what a client is told about colors shifting in the process, we have learned that most bridal clients expect a preserved bouquet to look like it did fresh. If the colors deepen in the process and don't reflect the pantone palette that was assembled during the planning process, the customer will be unhappy with the outcome; which reflects poorly on our process and on whoever recommended our service to them. Options – We offer over 60+ display options for 3-dimensional displays, and over 900 Bloombeads jewelry options, with prices for any budget. Quality inputs – We use archival quality framing materials to ensure longevity over time, and only the highest quality jewelry findings for our Bloombeads jewelry. Time-tested – Each of our offerings, for jewelry and displays, is tested for at least one (1) year to assure it will withstand use. Our past clients regularly share rave reviews of how their items have endured the test of time. 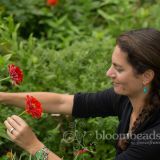 Nationwide service (bloombeads only) - Flowers can be mailed from anywhere in the US, or beyond! Worth the drive (Freezeframe displays only) – Our 3-dimenional offerings require hand-delivery and pickup. So far this year, clients have driven from as far as North Carolina, Michigan, Chicago, Philadelphia and Boston. SUCCESS – Customer who use our service are happy that they found us, and appreciate the vendor or person who referred them to us every time. So you like the idea, but how to give this as a gift? No worries, we have gift certificates available for any amount! Contact us to request a gift certificate in any amount, or call toll free at 1-800-822-9273. Tell your friends...earn some discounts! That's right, we have a Referral Program. Spread the word about our services to family and friends, and earn Bloombeads Bucks toward your next order! Call 1-800-922-9273 or TEXT REFERRALLP to 937-902-1722 to learn more about our program. When they smile, we smile, and ultimately, you will smile too. Let us help you give the gift that will remind them of this once-in-a-lifetime moment. Contact us today!